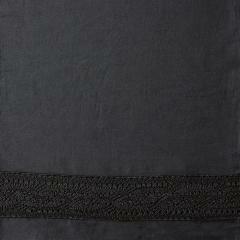 The Viola Lace sham combines contemporary living with the traditional style of lace in this Vintage collection. The special garment dyeing process gives uniqueness to every single piece, and, combined with unique Italian finishing techniques, results in a vintage look with an extremely soft touch. These characteristics remain even after washing. It has an easy-maintenance attitude: it can be used straight from dryer or only touched up with an iron if desired for a less casual look. The wide color palette allows for infinite combinations. The Single Sham has 1 inch flange and the lace border applied on the bag. Made with 100% Egyptian combed cotton 300 t.c. sateen. 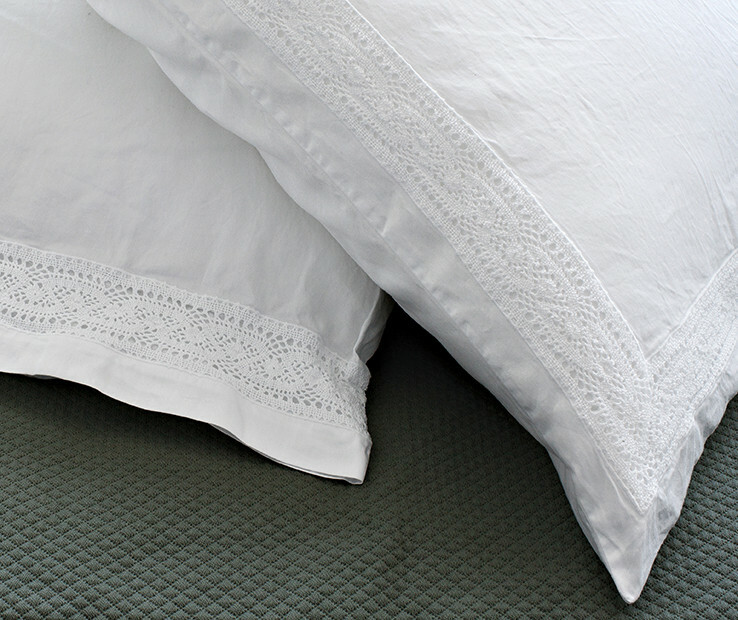 "The Viola Lace duvet cover combines contemporary living with the traditional style of lace in this Vintage collection. The special garment dyeing process gives uniqueness to every single piece, and, combined with unique Italian finishing techniques, results in a vintage look with an extremely soft touch. These characteristics remain even after washing. 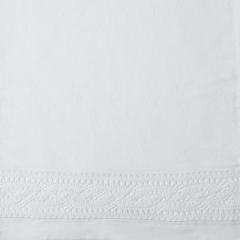 The Viola lace duvet cover has an easy-maintenance attitude: it can be used straight from dryer or only touched up with an iron if desired for a less casual look. 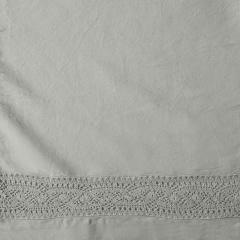 The lace is applied on the top side of the duvet cover and has a ""U shape"". 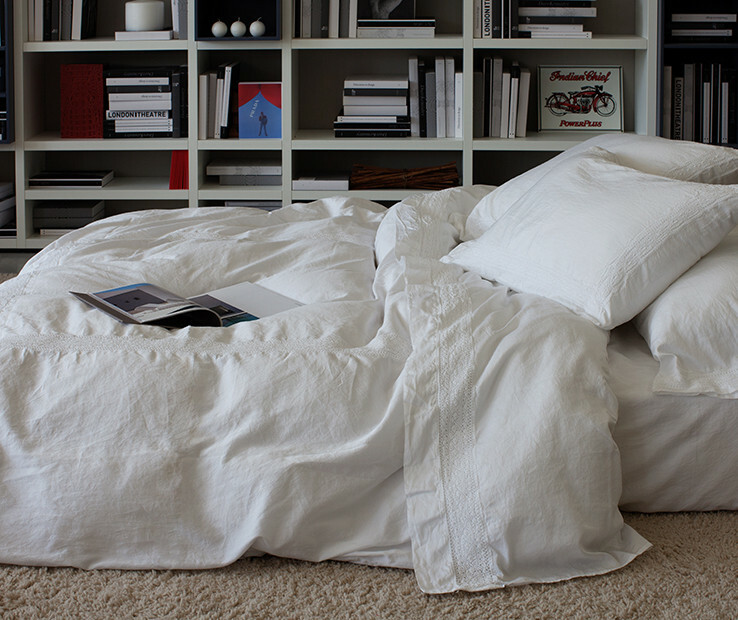 The duvet cover is made with 100% Egyptian combed cotton 300 t.c. sateen. The wide color palette allows for infinite combinations. Available in Twin, Queen and King sizes. buttons closure. Made in Italy." 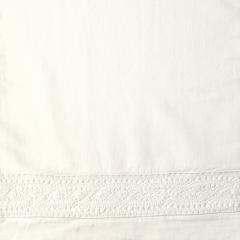 The Viola Lace flat sheet combines contemporary living with the traditional style of lace in this Vintage collection. The special garment dyeing process gives uniqueness to every single piece, and, combined with unique Italian finishing techniques, results in a vintage look with an extremely soft touch. These characteristics remain even after washing. It has an easy-maintenance attitude: it can be used straight from dryer or only touched up with an iron if desired for a less casual look. It is made with 100% Egyptian combed cotton 300 t.c. sateen. The wide color palette allows for infinite combinations. 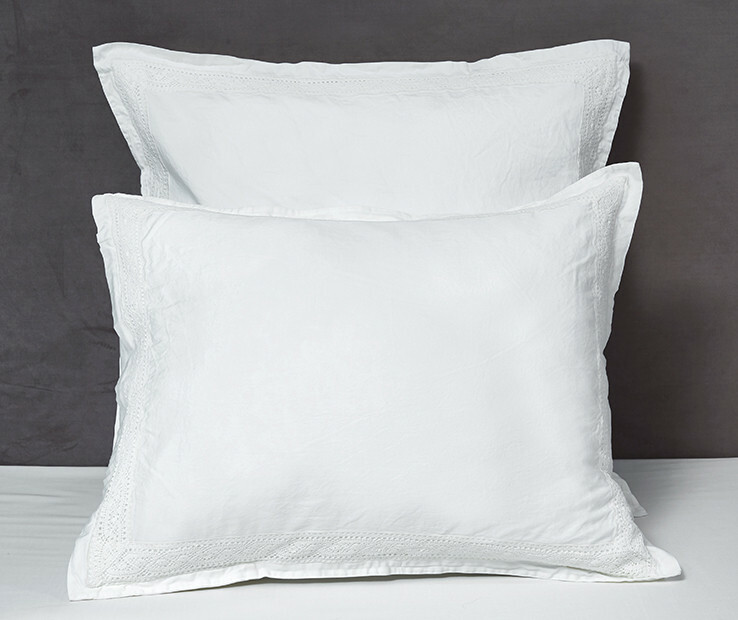 Viola Lace pillowcases combine contemporary living with the traditional style of lace in this Vintage collection. The special garment dyeing process gives uniqueness to every single piece, and, combined with unique Italian finishing techniques, results in a vintage look with an extremely soft touch. These characteristics remain even after washing. They have an easy-maintenance attitude: they can be used straight from dryer or only touched up with an iron if desired for a less casual look. The wide color palette allows for infinite combinations. Made with 100% Egyptian combed cotton 300 t.c. sateen. Available in Standard and King sizes. 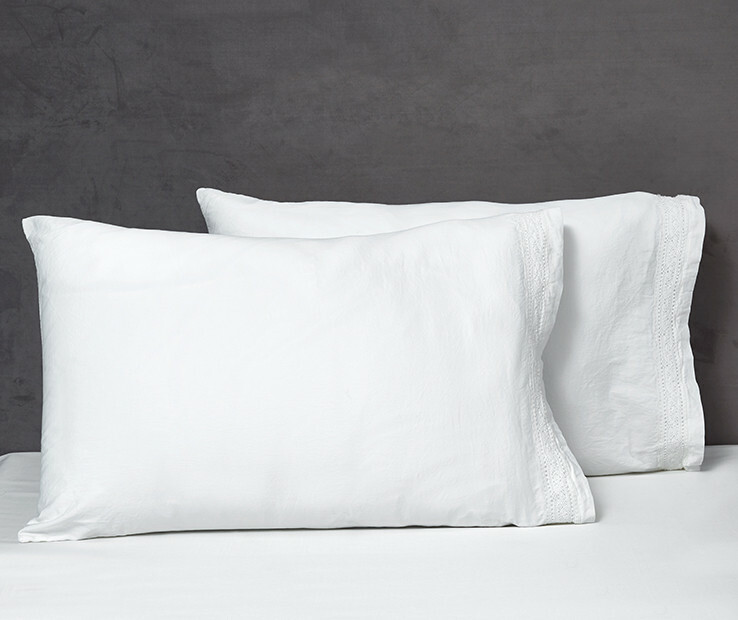 The set includes two pillowcases.